Jim Lile has quite an impressive background in professional theatre. He earned an MFA from the Yale School of Drama in Technical Design and Production in 1999. 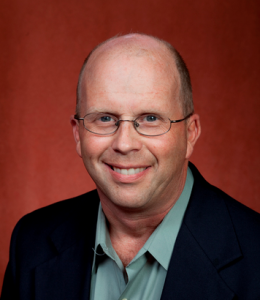 Over the years he has been the Technical Director, Stage Manager, Lighting Designer or staff member for a variety of theatrical and dance companies: Norwegian Cruise Lines, Utah Shakespeare Festival, Pensacola Opera, Nashville Opera and The Des Moines Civic Center. Prior to arriving at FSU, Jim was the Production Manager for Indiana University Jacobs School of Music, a position he held for over seven years. He continues to work as a freelance Production Manager, Technical Director and Consultant for several regional opera companies around the country. 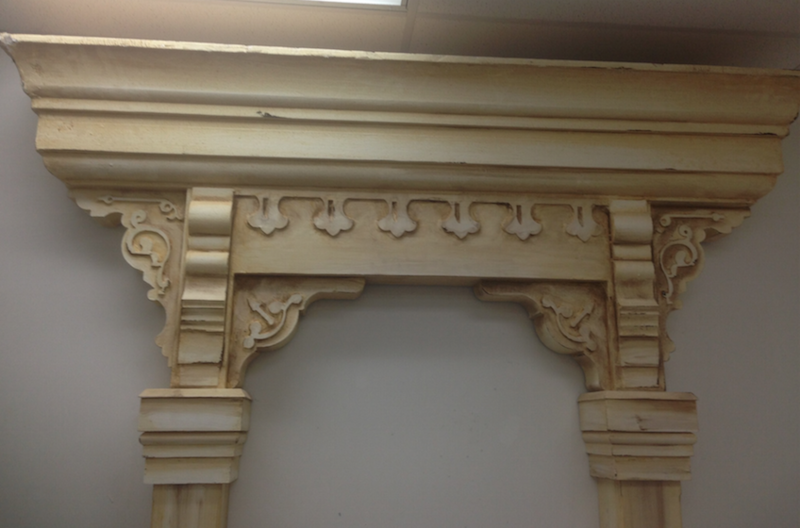 I spoke with Jim recently about his experiences using CNC in his work and his teaching. 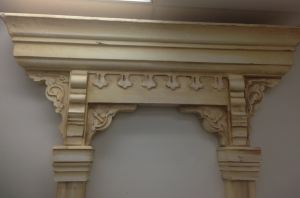 Jim explained that ShopBot CNC is used for every production at Florida State, whether to create 90-degree cuts for large items such as walls and flooring, or intricate carvings in every set-piece in every material imaginable. 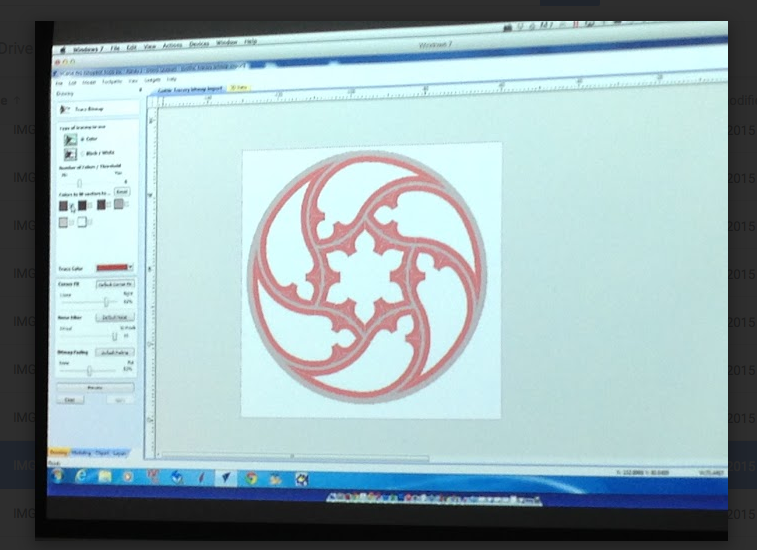 “With CNC, you’re only as limited as your imagination,” said Jim. 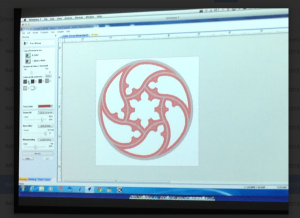 Jim noted that in the professional theatre world, a small percentage of set designers provide their work in hand drawings, which then need to be translated in to CAD to be readied for the production process; but about 70 to 80% of designers are working in Vectorworks, Sketchup or AutoCAD. 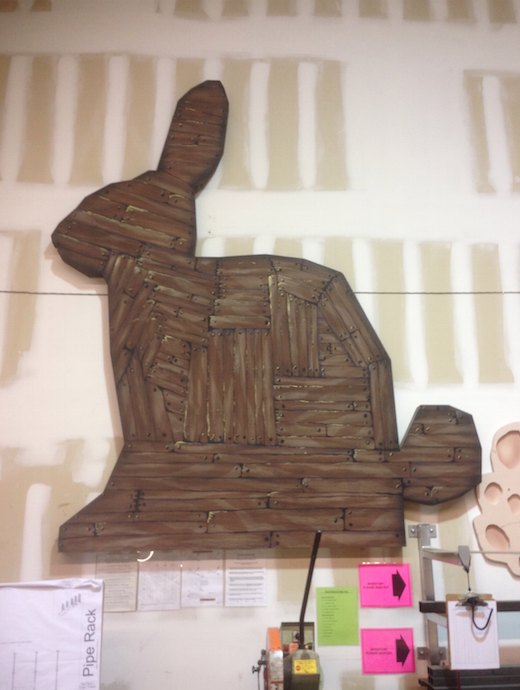 This rabbit was designed and built for a production of Spamalot, and is approximately 12’ tall. 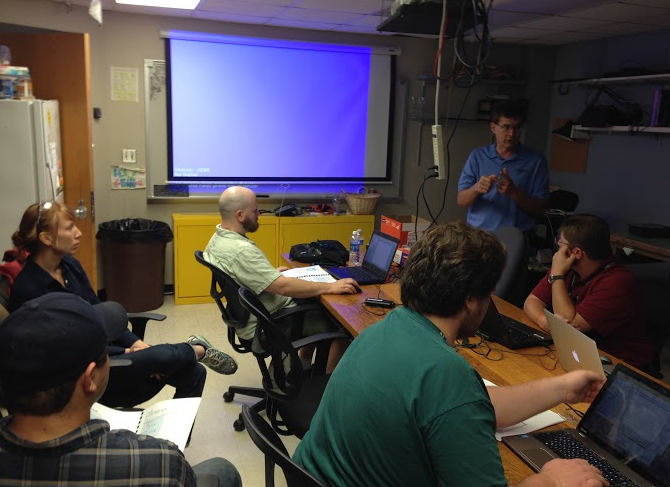 Along with its basic training courses, ShopBot has been working on adding training sessions geared to the needs of specific applications. This led to the company’s participating at the USITT Master Classes at Playmakers Repertory Company. 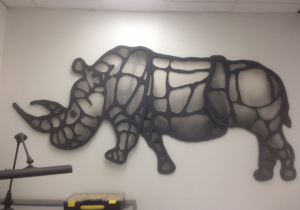 The group of theatre professionals who signed up for classes were at varying levels of CNC knowledge and practice, so ShopBot provided a ‘basic’ training as well as some more specialized training to those with more CNC experience. ShopBot COO Randy Johnson led a workshop…. ShopBot’s Thea Eck and Al Nyonteh were onhand to teach at the USITT classes. Randy Johnson assists a student carving a wood project with the ShopBot Desktop. 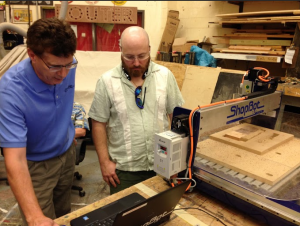 If you’re interested in specialized CNC training, get in touch with ShopBot here. We’d be glad to put together a special program for your team.